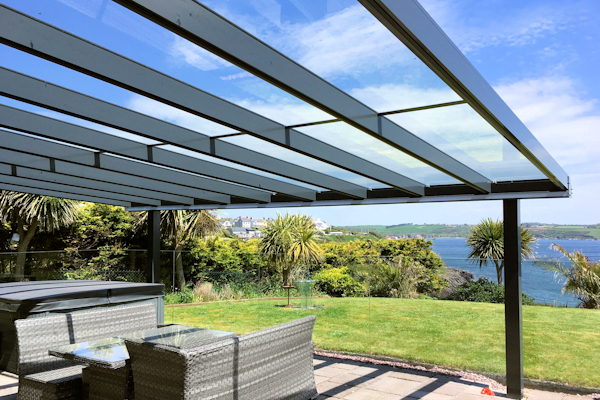 There are three verandas to choose from within our Alfresco range which can all be covered with a choice of glass or polycarbonate roofs. 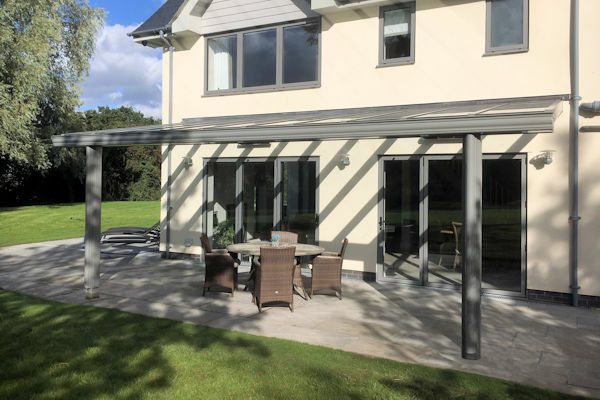 These structures feature robust aluminium frames and each veranda has been designed to suit different house styles including traditional and modern homes. The Traditional Alfresco Veranda features an ornate profile that enables it to fit in well with more traditional style buildings. 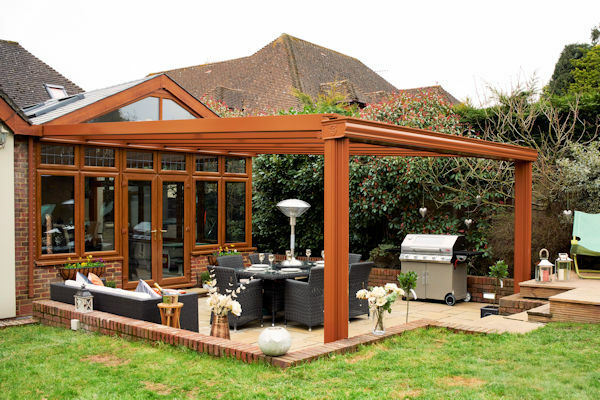 The Contemporary Alfresco Veranda has a sharp, square modern design that suits highly modern homes with square profiles. 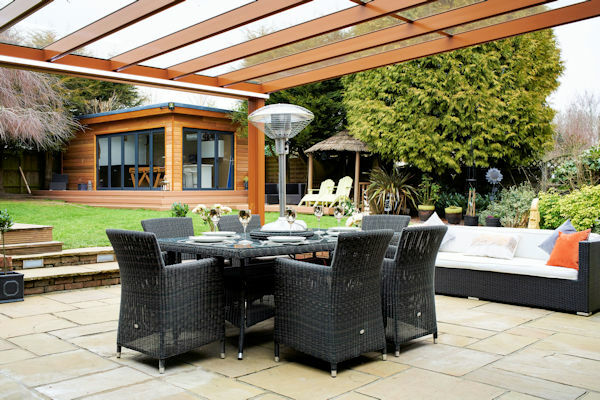 The Lifestyle Alfresco Veranda is also a modern structure that features a softer, curved designed to enable it to fit in with softer style buildings as well as buildings of almost any age. All three structures can be of any length and can span up to 6m from the wall. 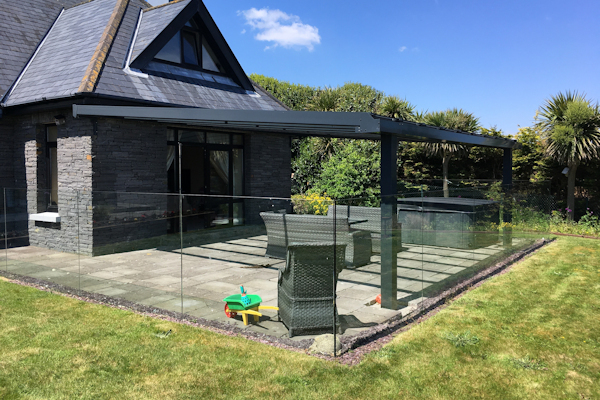 One of the biggest selling points is that we can supply these verandas with up to 6 metres between the front posts which leaves you with an almost uninterrupted view of your garden and surrounding areas. 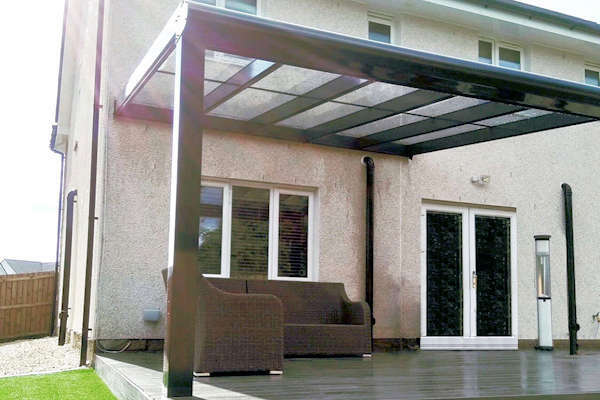 Click here to Contact us today for a free estimate from the canopy experts. The extras below are available with all three Alfresco verandas and will enhance your outdoor living experience, enabling you to get even more use out of your veranda throughout the whole year. Please ask for your chosen optional extras when requesting a quote. The Alfresco verandas can feature integrated LED lighting strips into the underside of the frame. These lights are unnoticeable when they are switched off and all wires are hidden within the veranda frame for a sleek and tidy appearance. We can supply a range of different heating options which can all be mounted onto the wall under your veranda to supply a gentle yet warming heat that takes the chill away on cooler days and evenings. 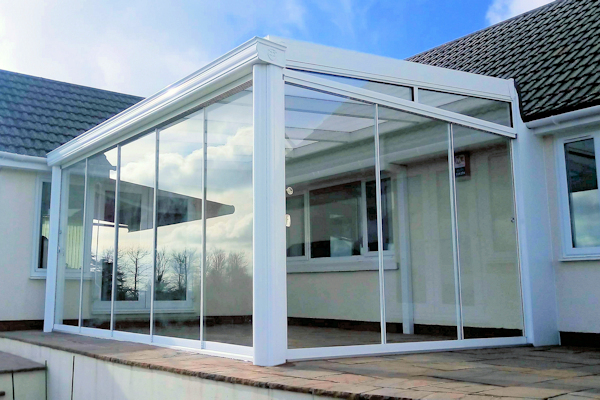 The frame is supplied in white as standard, yet it is available in any RAL or BS colour to enable it to match the existing external aesthetics of your home, making it look as if it’s a natural part of the building. 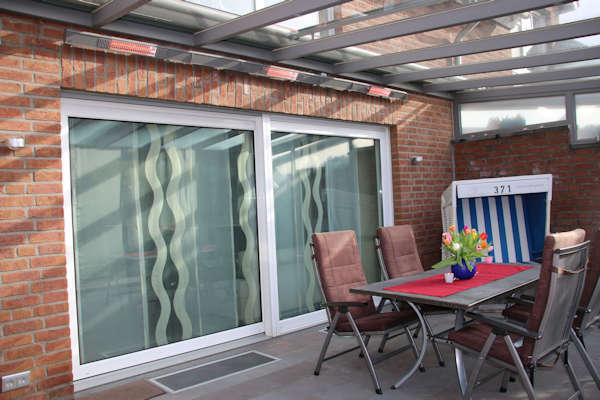 The Alfresco verandas are available with sliding glass doors to transform your veranda into a fully enclosed glass room when they are closed and back into a veranda when they are open again.